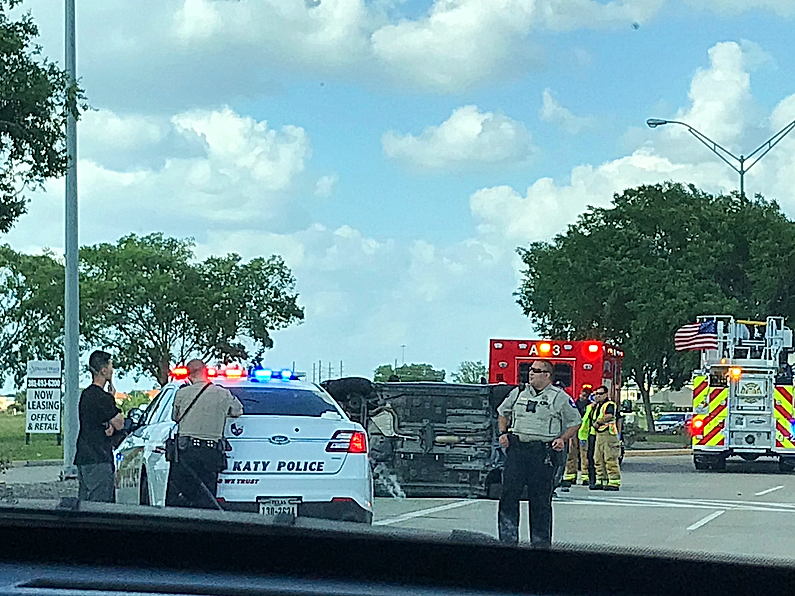 At around 4:30 p.m., a gray sedan flipped onto its side on Katy Mills Blvd. & Katy Fort Bend Rd. sitting on the curb without any obvious injuries, while sheriffs and firefighters attempted to pull a fourth out of the car. More updates as this story develops.